On 29th May 2018 the Ministry of Defence of the Russian Federation announced that a marine formation allocated in Kamchatka (north-east Russia) received new BTR-82A armoured personnel carriers (APC). More than 30 modern APCs were delivered by ships to Kamchatka. The new vehicles came after the T-80BV tanks, which were earlier acquired by the Kamchatka marine formation. 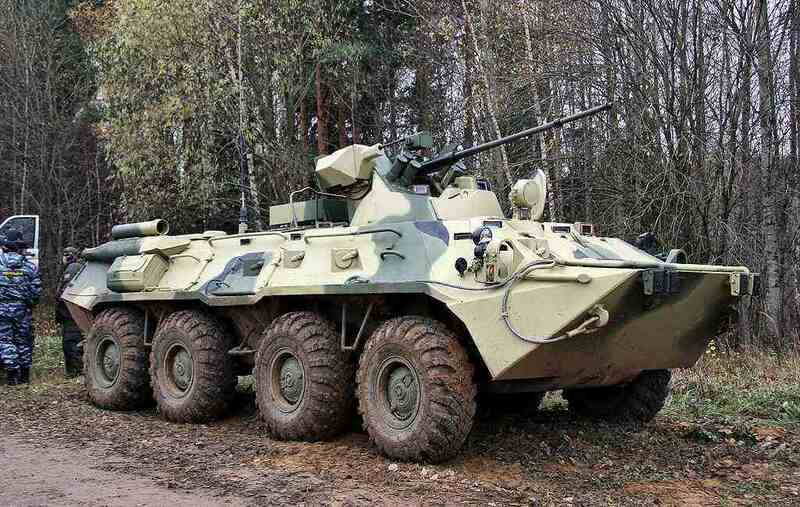 The BTR-82As will replace the previous generation BTR-80 vehicles and armoured fighting vehicles. The BTR-80 is an 8×8 wheeled amphibious armoured personnel carrier developed long ago in the Soviet Union. The BTR-82A is an upgraded version of the version BTR-80A, which is in production and service since 1994. The BTR-82A APC has improved armour, spall liners, better night vision device TKN-4GA-02, 30 mm gun 2A72 (a lighter and simplified cousin of the 2A42), GLONASS navigation system, and a more powerful engine of 300 hp. In November 2009, the prototype of the BTR-82A was shown to the world for the first time.